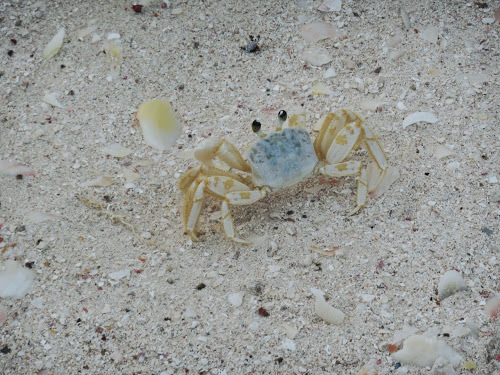 Tell me this crab is not THE CUTEST thing you've ever seen....as far as crabs are concerned anyway, one cloudy morning as I walked the beach, small, nearly translucent, crabs scurried here and there as I passed. 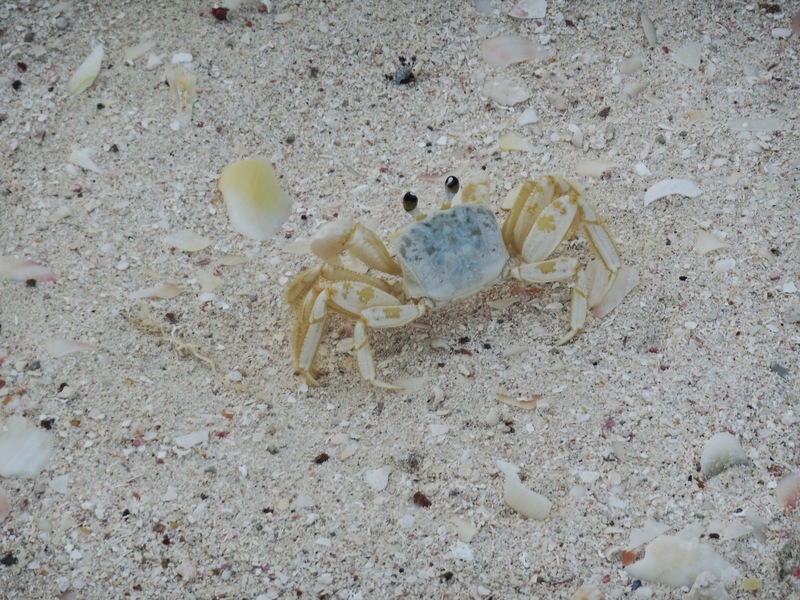 Related to the Blue Crab, these little guys have virtually no color appearing translucent when they are small. As they grow and develop they take on a bluish tint. and such a pretty hue of blue ! I guess he's cute...for a crab! 1st thought - (don't hit me!!) OM, have you been drinking? 3rd & final thought - yes, he/she is totally cute. but can bite so stay away!!!!!!!! watch your toes. or fingers too. He is adorable!!!!! At first, I thought he was not real ...maybe jewelry because his body looked like a pale blue gemstone. He looks like a toy! Well spotted. A very unusual colour. Crabs used to terrify me when I was a kid! I hated when they would go scurrying at my feet! Now I'm thinking they're rather cute! They are such gorgeous creatures! I'm not overly fond of crabs (got clawed by a hermit crab once) but he's certainly handsome.